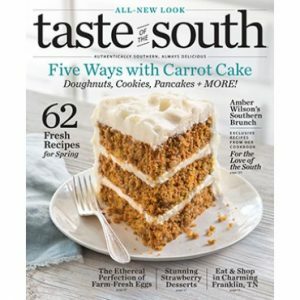 This issue is only available on digital newsstands. 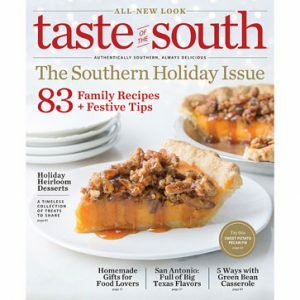 Taste of the South’s December issue is your ultimate holiday cookbook. Host a Christmas party with starters like Double Hot Chocolate and Ginger-Glazed Sausage Bites. 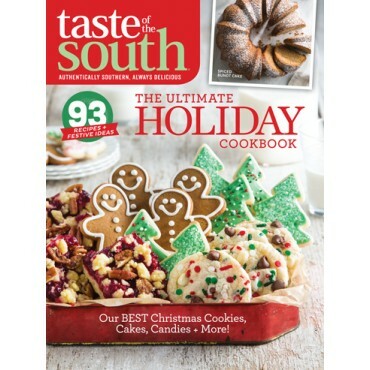 Take it easy with your main dish and make one of our slow cooker suppers, like Bacon-Wrapped Pork Loin and Beef Short Ribs, and then go all out with a cookie collection, including favorites such as Gingerbread Cookies and Christmas Tree Cookies. Looking to beat the winter cold? Take a road trip with our guide along the Gulf Coast. 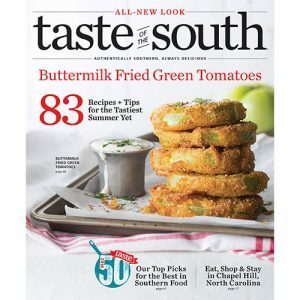 This issue even has the perfect gifts for that hard-to-buy-for Southern foodie.